In a move that could generate tens of millions of dollars for the city, San Francisco's Board of Supervisors passed legislation today that would give the city's Public Utilities Commission a "right of first refusal" to sell electricity to private development projects in the city. The SFPUC's Power Enterprise currently sells on the wholesale market electricity that's left over after municipal uses like powering City Hall. But the city could make about four times as much money selling to private customers at retail rates. This new arrangement would switch the default power provider for many larger construction projects, and the long-term electricity needs of whatever's getting built in booming San Francisco, from Pacific Gas and Electric to the city. It would allow the SFPUC to sell electricity to projects on public lands, those developed with public funds and any private projects seeking city approval. Supervisors' long-stalled effort to form CleanPowerSF, a city-run, clean-energy alternative to PG&E, looms large in the new law. "We have had a history of a monopoly in San Francisco, with PG&E, on electricity," said the ordinance's author, San Francisco Supervisor Scott Wiener. He introduced an amendment Monday suggesting that the SFPUC prioritize selling electricity to CleanPowerSF if and when the program launches. A PG&E spokesman would not comment on the legislation, but provided KQED with a prepared statement that said the company looks forward to continuing to provide clean energy to San Francisco. "We will continue to work with the city on this issue," the statement said. 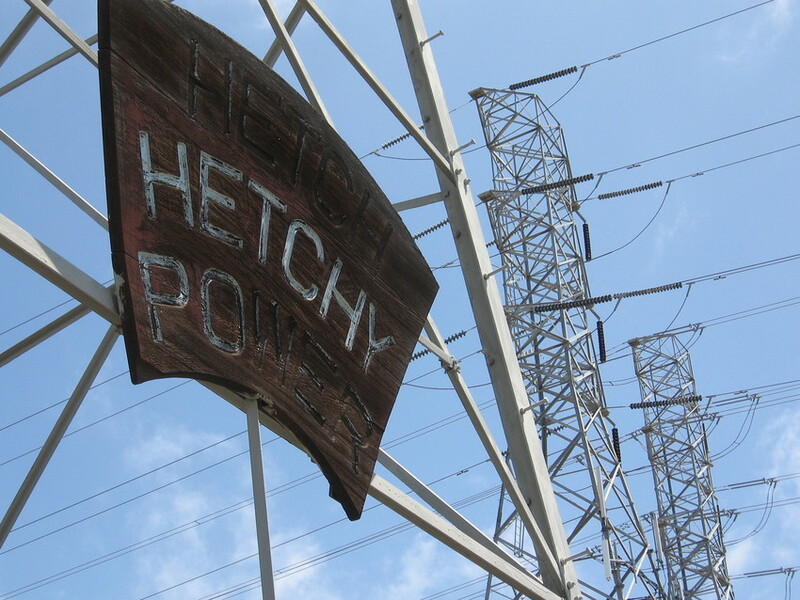 CleanPowerSF was stalled by the SFPUC last year, when the commission refused to set rates for the greener, and thus more expensive, electricity that would be sold by the city but transmitted across PG&E's network. The program was set up to automatically enroll residents, who would then have to opt out in order to revert to PG&E power. CleanPowerSF's additional "generation charge," which could run anywhere from $5.29 to near $10 per month to match a green alternative proposed by PG&E, would appear on customers' PG&E bill. A final decision on the rate is pending. The San Francisco Chronicle reported Monday that Wiener called the "right of first refusal" legislation "complementary" to the CleanPowerSF effort. Wiener says the Power Enterprise "has been starved of resources because it is not more of a retail provider." The SFPUC's Power Enterprise currently takes in about $115 million each year from electricity sales, according to the program's Assistant General Manager Barbara Hale. About 15 percent of that comes from selling excess energy on the wholesale market. "We do have available power to sell to additional retail customers," she said. More retail-rate customers could mean a $40 million increase in revenue for the SFPUC yearly, Wiener said, and should enlarge the local commission's footprint in San Francisco's electricity market. The San Francisco Business Operators and Managers Association and Chamber of Commerce both oppose the legislation because it will force some private entities to purchase power from the city. "We have some serious problems with this legislation, supervisor," BOMA's Ken Cleaveland told Wiener at a Land Use Committee meeting Monday. "If the city bids out many of its services, why don’t you allow PG&E and the SFPUC to bid contracts for these new developments?" The city's rates are equal to or lower than PG&E's, Hale said, and the power is "100 percent greenhouse gas free."